The road to success looks different for everyone. Some roads are straight, some roads are curvy, and some are wrought with obstacles. For many people, entering or re-entering college can help them along their path to success, but navigating the task can be difficult. Cue Lisa Richardson, Student Success Manager at Waubonsee Community College who runs the student Connect4Success (C4S) program. Since being hired in 2016, Richardson and her band of coaches have helped more than 1,000 WCC students kick-start their futures with individualized coaching and encouragement. 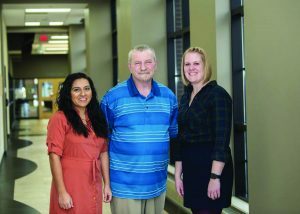 At Waubonsee, where many students enroll as adults or have taken time off before returning to college, there can be many learning curves, Richardson pointed out. 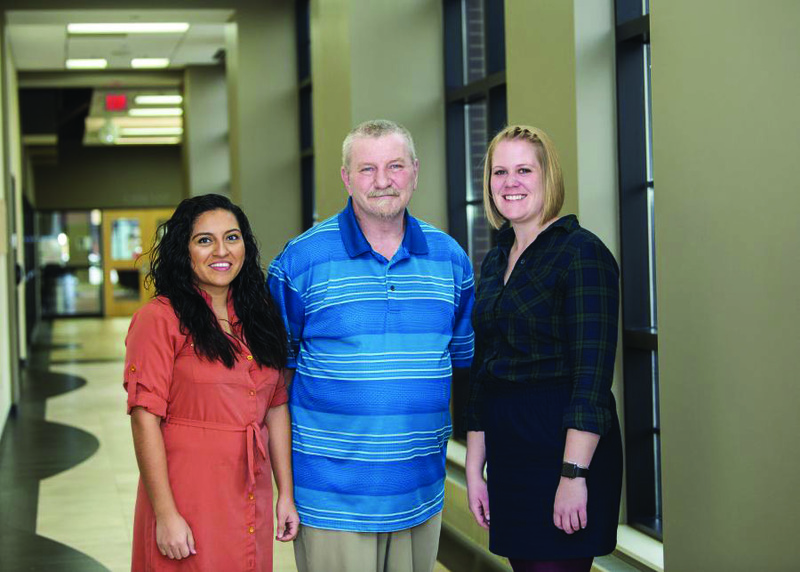 Whether it’s the technology gap, managing home and school life, or figuring out financial aid forms, coaches work with identified students to make the seemingly impossible suddenly possible. Not all students know about all of the resources available to them to help get through college and, because they don’t know all that’s available, they often don’t know what questions to ask to get help. Student Success Coaches point students to resources like academic tutoring, counseling and advising, financial aid and scholarships, as well as the many other resources available to students. The C4S program is funded by a Title V grant from the U.S. Department of Education; because of this, students must meet certain criteria to receive C4S support. The coaches identify qualifying students and then reach out to them with tailored support programs, tips and companionship. “It’s really individualized, and it’s great to see what those relationships between coach and student become,” Richardson said. Coaches connect with their students on a weekly basis and become a student’s point-person throughout their college experience. It’s a program that isn’t offered at every school, but one that has proven beneficial to WCC students. “We’ve seen great results of students being retained or coming back, and students graduating, as well,” Richardson said. While the grant only runs through September 2020, she’s hoping to make a case for the C4S program to continue beyond that with the financial support of the college itself. In 2016, the first year the program started, students who stayed in the C4S program stayed enrolled in college at a 13 percent higher rate than eligible students who did not participate in the coaching program. The C4S program was recently recognized by Excelencia in Education as a “Program to Watch” because it is young, uses research-based practices and shows great potential that has already made impacts on students. To qualify for the program, students must meet at least one of the “High Need Student” qualifiers as determined by the grant requirement, and be in their first or second semester at WCC. To see if you qualify, you can contact C4S@waubonsee.edu and the coaches will verify your eligibility.